Mike Loucks @Astrogator_Mike Symmetry baby! Outbound #ISEE3 trajectory (blue) from 1983 and Incoming (green) in 2014. Earth-Sun rotating frame. \n\nMike Loucks @Astrogator_Mike Symmetry baby! 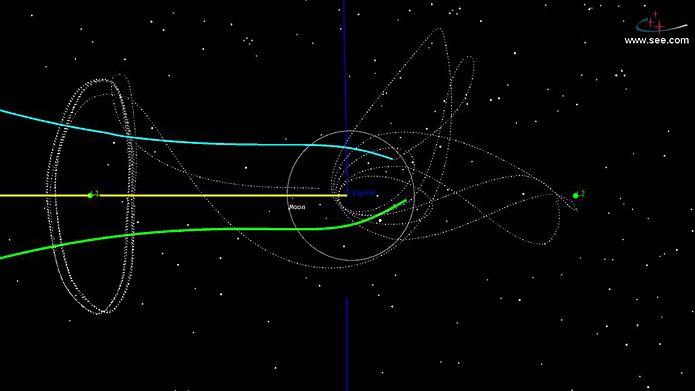 Outbound #ISEE3 trajectory (blue) from 1983 and Incoming (green) in 2014. Earth-Sun rotating frame.